An enterprise data strategy should be part of every organization’s strategic development. A data strategy ensures the organization uses its data and information to support business goals. Most organizations have a business strategy: a plan of how the company will achieve its goals, meet the expectations of its customers, and sustain a competitive advantage in the marketplace. Once defined, the business strategy allows the organization to set priorities for the enterprise and for each area, ensuring that the activities do not conflict and that they work together to achieve the organization’s goals. Business strategies ensure that the organization uses its resources effectively and efficiently, putting them where they will enable the company to receive the most value from that resource. Some business strategies are written in paragraph format, others are outlined in strategic statements with explanations. 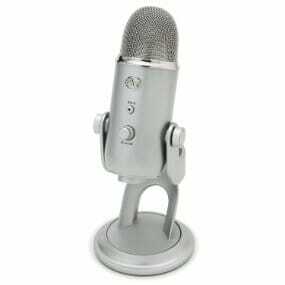 Strategies are focused on the present and near future, with a usual view of 3-5 years as the limit. 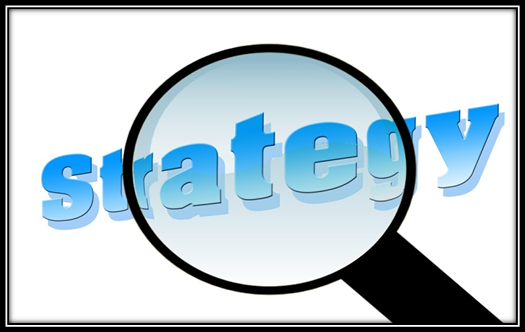 Plans that are derived from the business strategy should be focused to achieve results before the strategy’s revision. Just as highly-performing organizations have a business strategy to guide them in setting and achieving their business goals, they should have a strategy for managing and realizing value from their data assets. Data is an asset, as valuable as buildings, inventory, or other resources. However, unlike tangible resources, data has not been managed as an enterprise asset by many organizations and most organizations have not developed an enterprise data strategy. 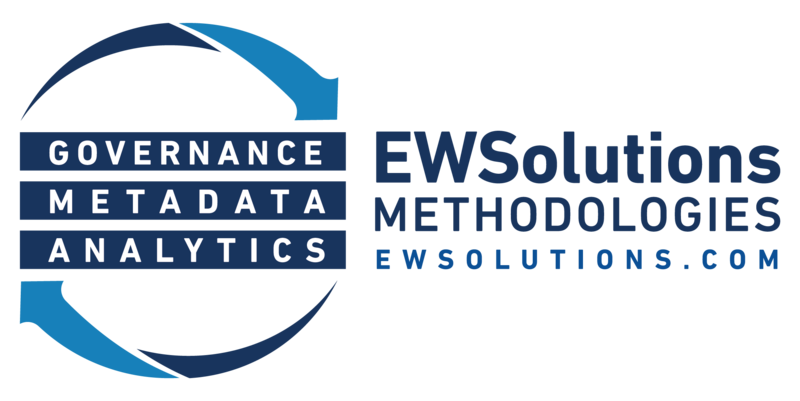 This oversight has caused the needless proliferation of redundant data, poorly defined and misunderstood data, data that is not useable for decision-making and other challenges to using data as a valuable organizational resource. These problems can be corrected by developing an enterprise data strategy and implementing the plans that result from the strategy. Like many other terms in data management “data strategy” has several synonyms. They include, but are not limited to: enterprise data strategy, enterprise data management strategy, information management strategy, enterprise information management strategy, information strategic plan. All these terms refer to the same concept “a single, enterprise plan for the use of organizational data as an essential asset for strategic and operational decision-making.” A data strategy defines the approach the enterprise will take to manage and use its data and information to achieve its business and technology goals, and to realize a competitive advantage using this asset. This framework includes all the disciplines that should be represented in any organization’s data strategy. 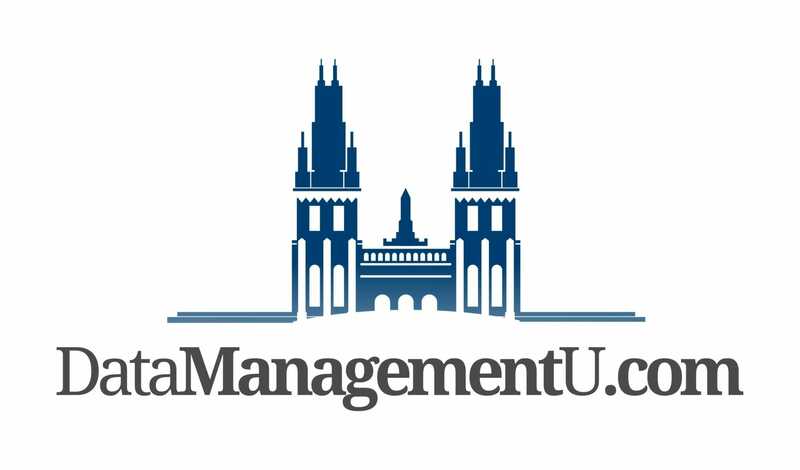 For explanations of each discipline, please refer to the anchor articles collection within Data Management University. 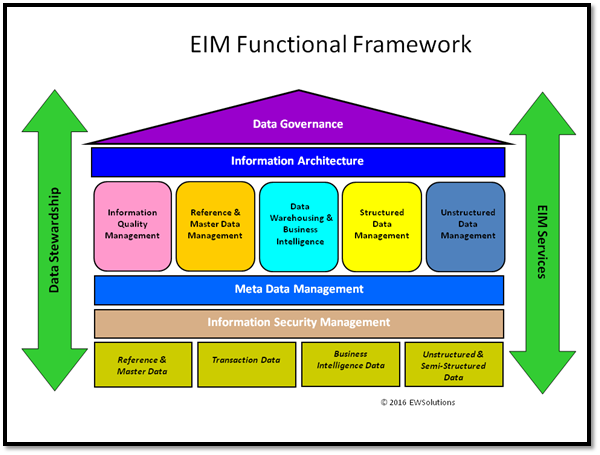 It is important to base an enterprise data strategy on an industry standard enterprise data / information management framework. Doing so ensures that the organization’s data strategy includes all aspects of enterprise data management, and that all the disciplines are examined equally. Many organizations focus their efforts on certain, traditional areas in the data domain, and neglect other, important components. Overlooking those domains can allow existing data management problems to persist and new issues to arise, leading to further reductions in the value of the organization’s data. Basing the data strategy to include all components of enterprise data management will guarantee that the organization has a complete view of its data management environment. Compiling a strategy for data and its management is often the responsibility of a cross-disciplinary team, drawn from business and technology departments. 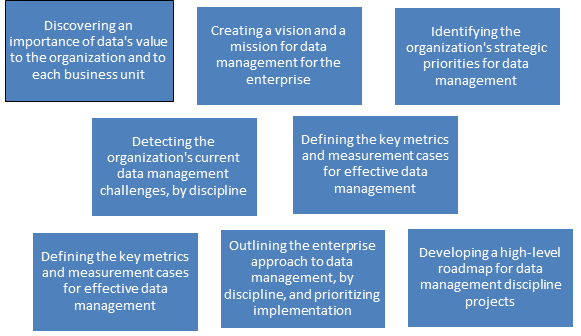 Much of the data strategy should be based on an objective understanding of the current state of data management across all the disciplines of data management so strengths, areas of improvement, persistent challenges and important opportunities can be identified. This current state assessment should lead to recommendations based on the organization’s business and technical goals. Including all these parts into the data strategy will guarantee that the final result provides the organization with a comprehensive approach to data management based on its business goals, tailored to address its current challenges and to support its present and future needs for data and information at strategic and operational levels. Developing an enterprise data strategy is a major endeavor that will yield short and long-term benefits to any organization, of any size, in any industry. Making the data strategy part of the company’s business strategy will ensure that data and information assume their rightful place as assets that provide numerous advantages.